Chicks on the Loose at the Old Town Library! 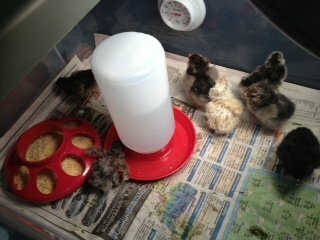 Last month, Old Town Library was host to nine baby chicks after they hatched in the library. Everyone – kids and adults were fascinated seeing the incubating eggs and waited eagerly for their hatching. They learned about the incubation period of twenty-one days for chickens, the temperature and humidity levels and what the baby chicks needed after they were born. Some families came back several times a day to see an egg actually hatching. Once they were hatched, everyone could see the chicks in the brooder inside the Old Town Library manager’s office. The brooder had to be at a toasty 95 degrees, so Jean’s office was nice and warm. 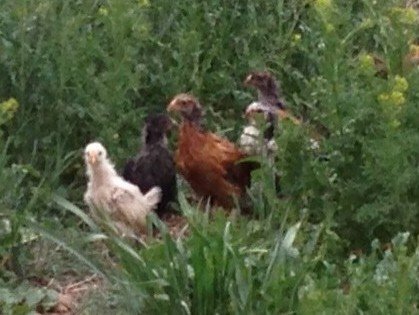 The chicks stayed there for several days until the One Book 4 Colorado program where they were on center stage. A couple of raptors – an owl and a Swenson’s Hawk from Rocky Mountain Raptor Society also visited, but the raptors and the chicks were far, far away from each other. The baby chicks have now left the library and live on a library staff member’s farm where they are growing and will soon be laying eggs. It was a great experience for library staff and all the people who visited and cheered on our baby chicks. Next up this summer…be on the look-out as we grow frogs, butterflies and more!